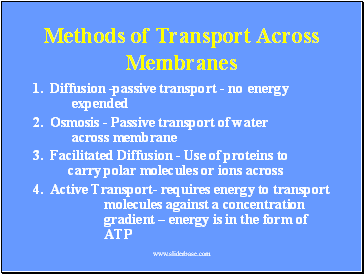 water, CO2, Glucose, O2, Amino Acids, Alcohol, and antihistamines. 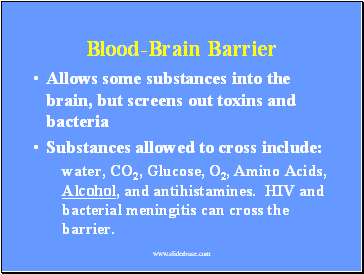 HIV and bacterial meningitis can cross the barrier. 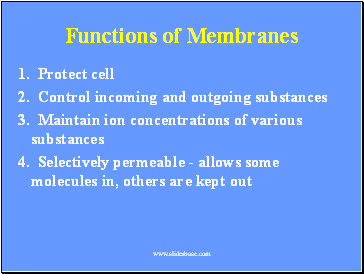 Solvent - the liquid into which the solute is poured and dissolved. 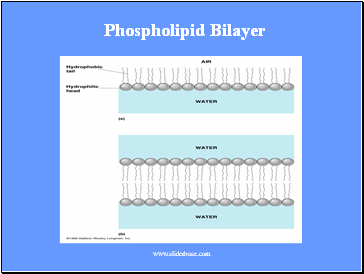 We will use water as our solvent today. 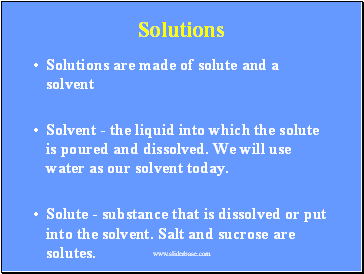 Solute - substance that is dissolved or put into the solvent. 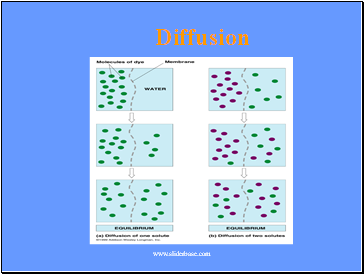 Salt and sucrose are solutes. 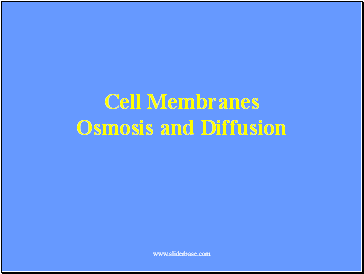 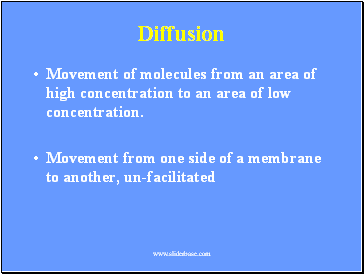 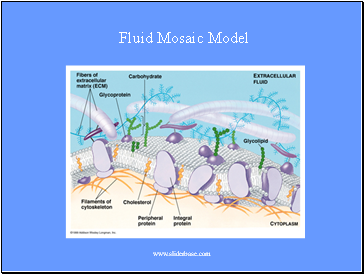 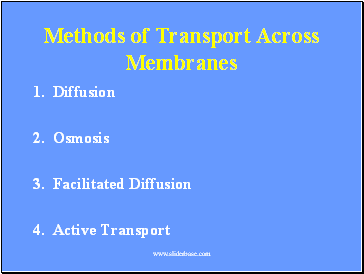 Movement of molecules from an area of high concentration to an area of low concentration. 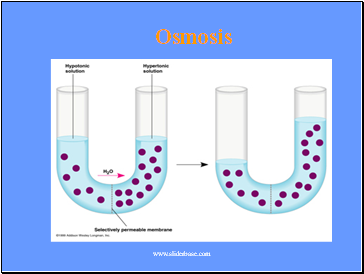 Hypotonic Solution - One solution has a lower concentration of solute than another. 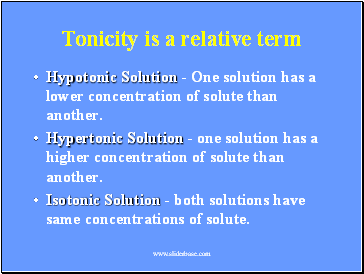 Hypertonic Solution - one solution has a higher concentration of solute than another.